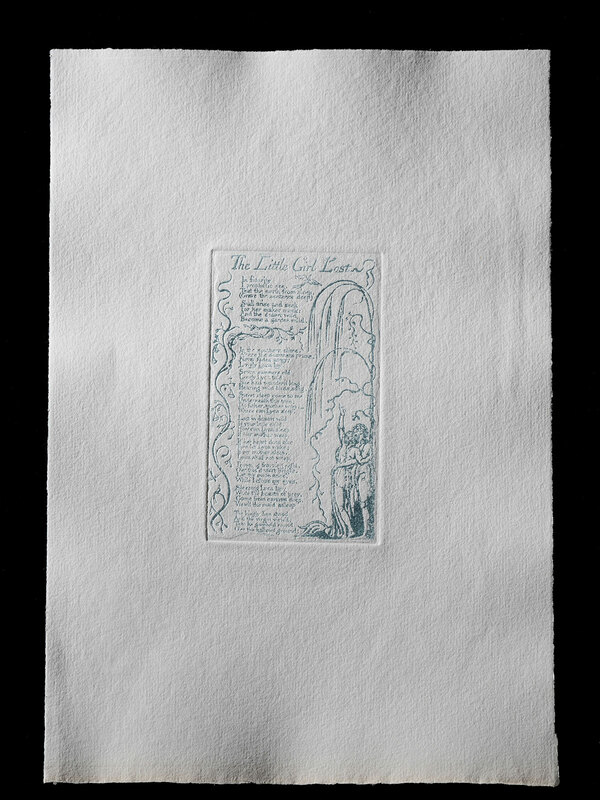 The following is a complete list of the replica prints from William Blake’s illuminated books that are available to order. 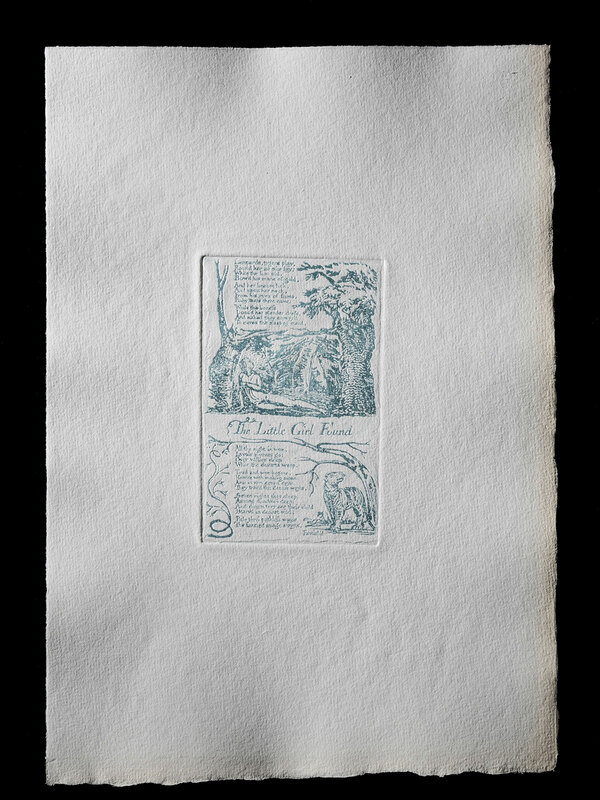 Impressions are printed on old hand-made wove papers torn to the same sizes that Blake used. 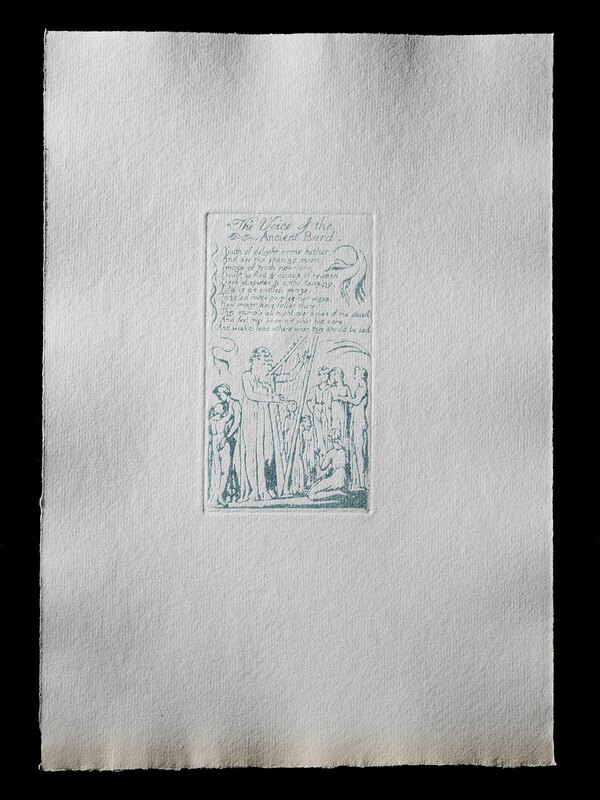 The colours of ink also match those Blake mixed and printed with. Any single plate or selection of plates can be printed to order. Prices range from £65.00/$85.00 to £250.00/$325.00 depending upon the size and difficulty involved in printing the plate as Blake did. 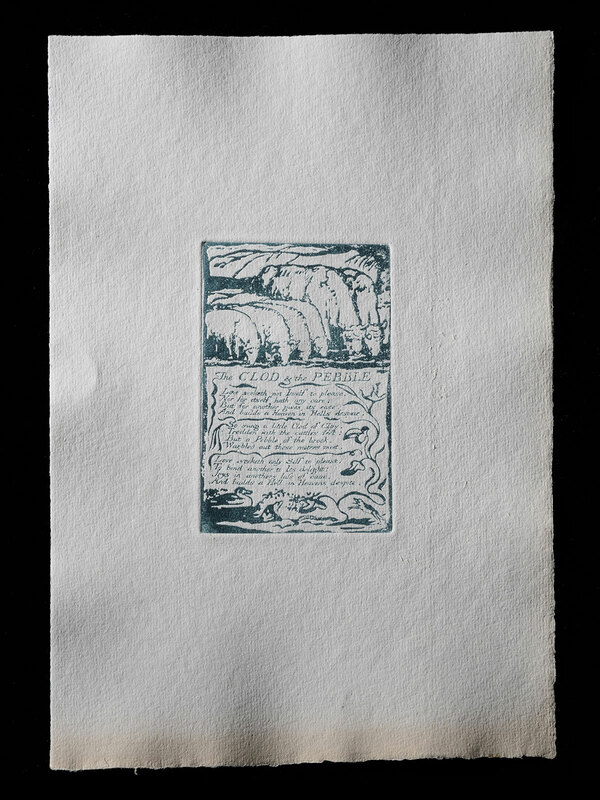 Printing a selection of plates will cost less. Please enquire. In the list below click on the title to see an example of the image, and click again to enlarge and scroll over it. All are available to print. 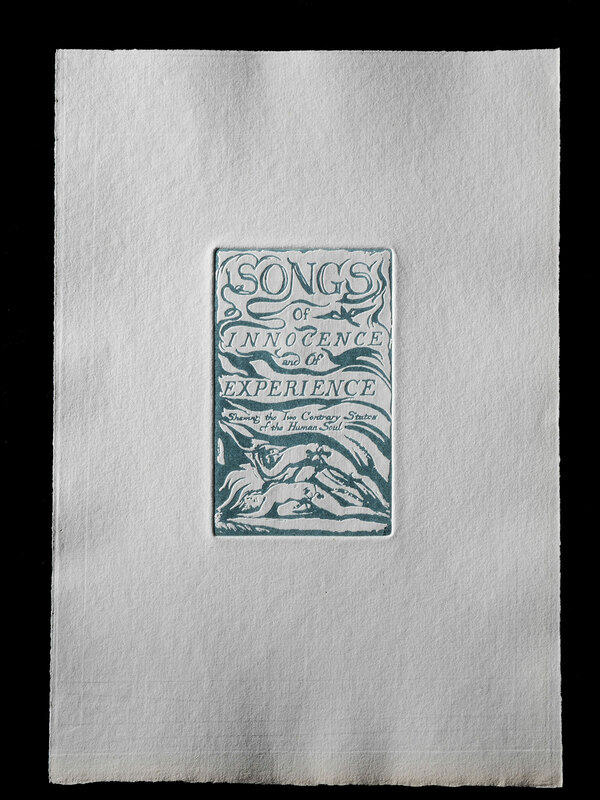 Sets of the Songs of Innocence and of Experience are also available in a Limited Edition of 41 plates. Proofs. 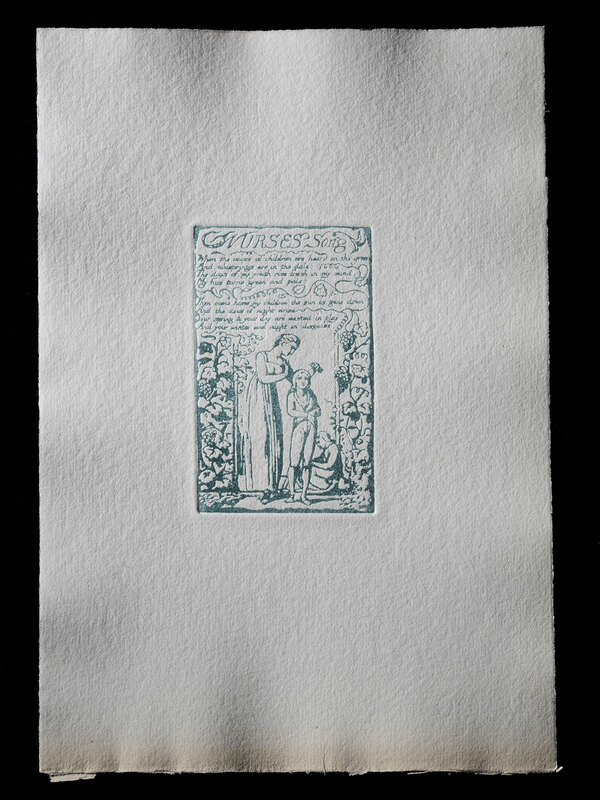 For the published set of all 27 plates follow the link below to the Limited Edition. 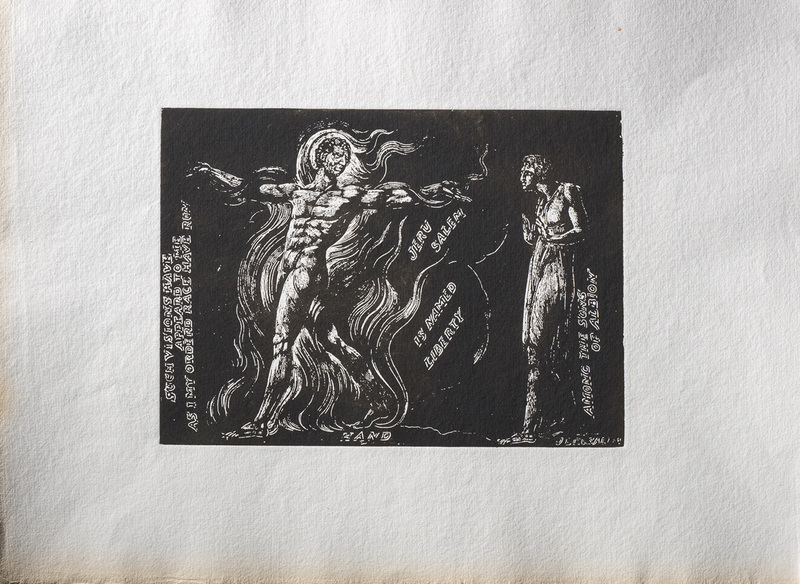 A Limited Edition of all 27 plates of The Marriage of Heaven and Hell is now available. 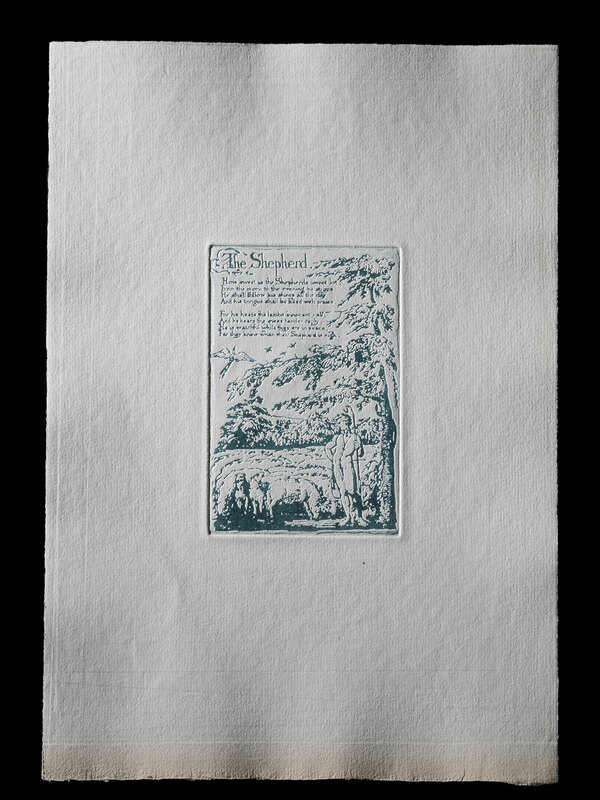 Frontispiece, 235 x 174 mm. Please contact Michael Phillips to purchase any of the prints listed on this page.